“Inspire your home” is more than just a slogan, it is the focus of FIT furniture’s design. 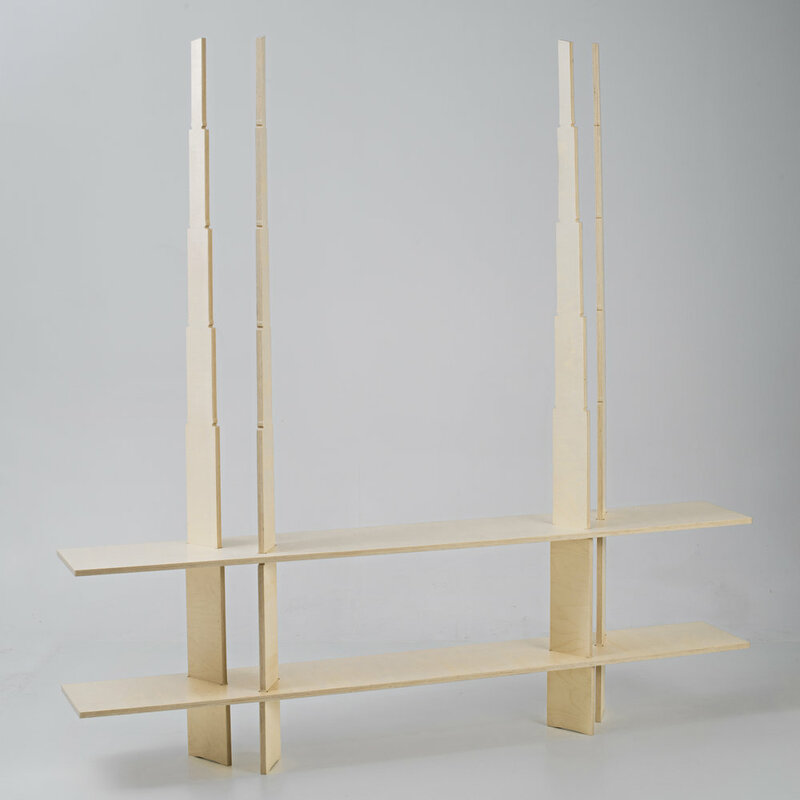 This first collection of shelves consoles and sideboards were conceived with the customer in mind: They are affordable, made to order, flat packed, and easy to assemble and disassemble many times. 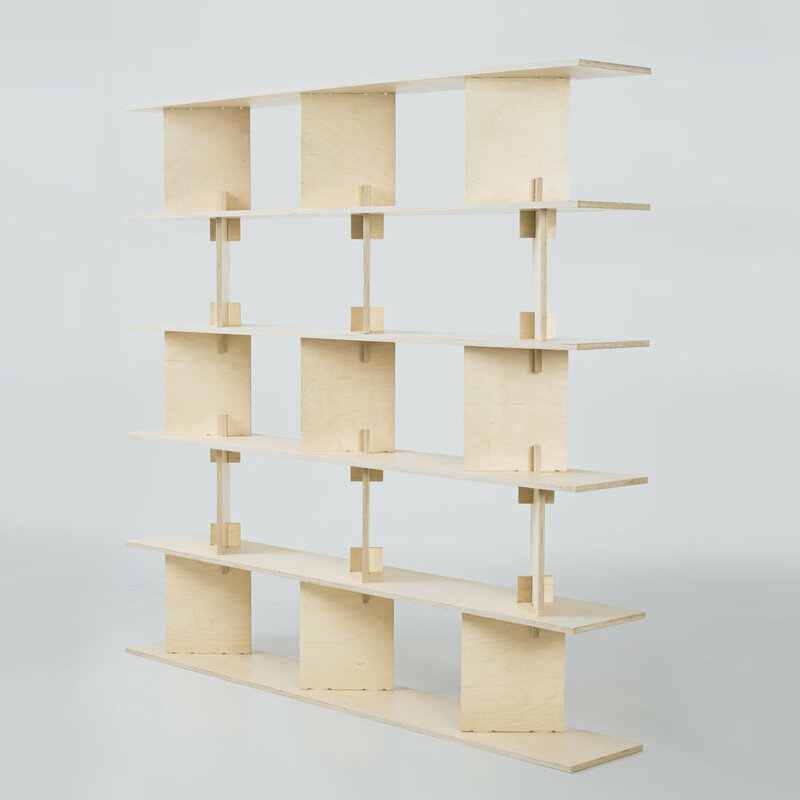 No tools, screws or glue are needed to make a piece of furniture and the collection is made entirely of precision cut birch plywood. But further than that, the design vision of this collection is to create minimalist furniture, with a compelling sculptural presence. 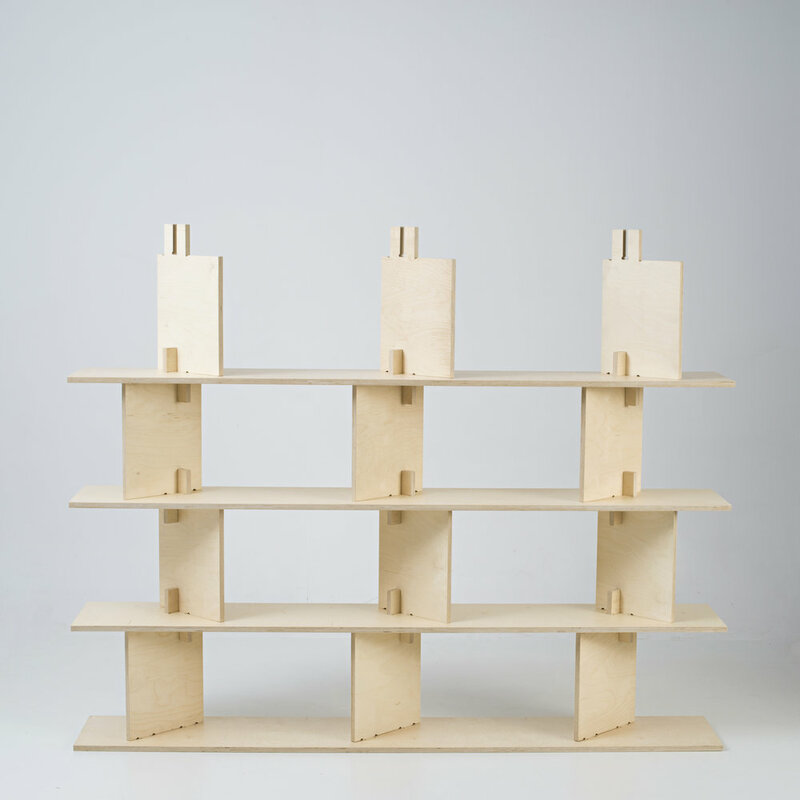 This vision was realized in three furniture families. 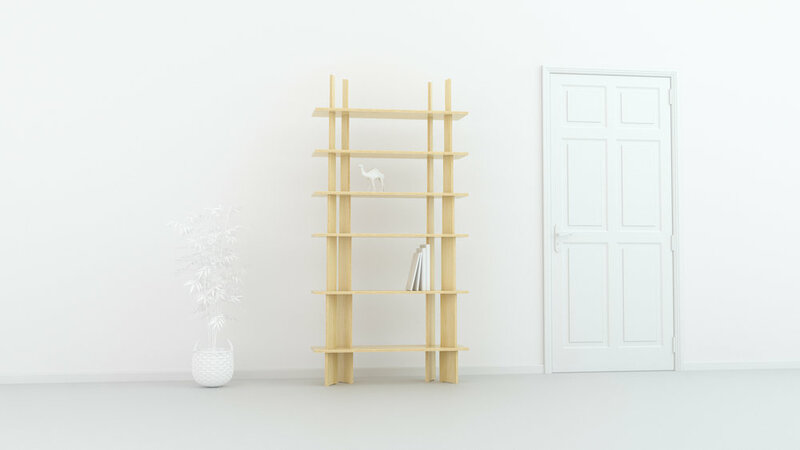 Each family has a unique assembly method that creates a range of furniture pieces that are expressive, clever and simple. Furniture pieces that would inspire your home. FIT furniture are designed and produced with you, the customer, in mind, so we made everything easy; Within 4 weeks from ordering a piece, it will arrive at your home, flat packed. 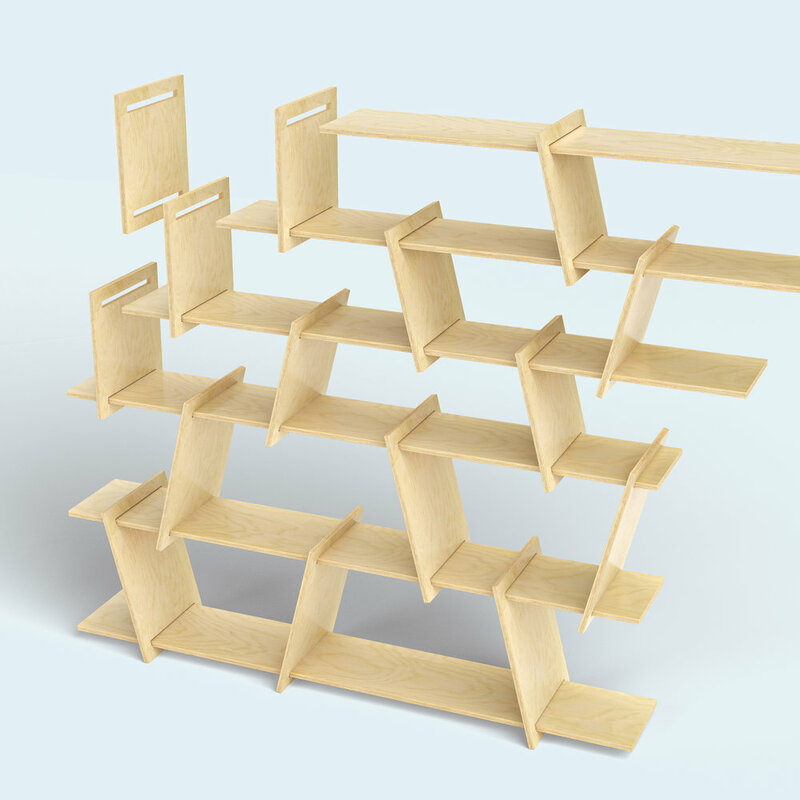 You will find out that assembling the piece is simple, intuitive and fast, with no tools needed. And if you have to move to a new place, FIT furniture is easily disassembled and reassembled. FIT is ready for your special order. The simplicity of the designs makes modifications possible and affordable. Whether you require different dimensions or materials, laminates, veneers or finishes for that furniture piece that exactly fits your home, just email us for a price. 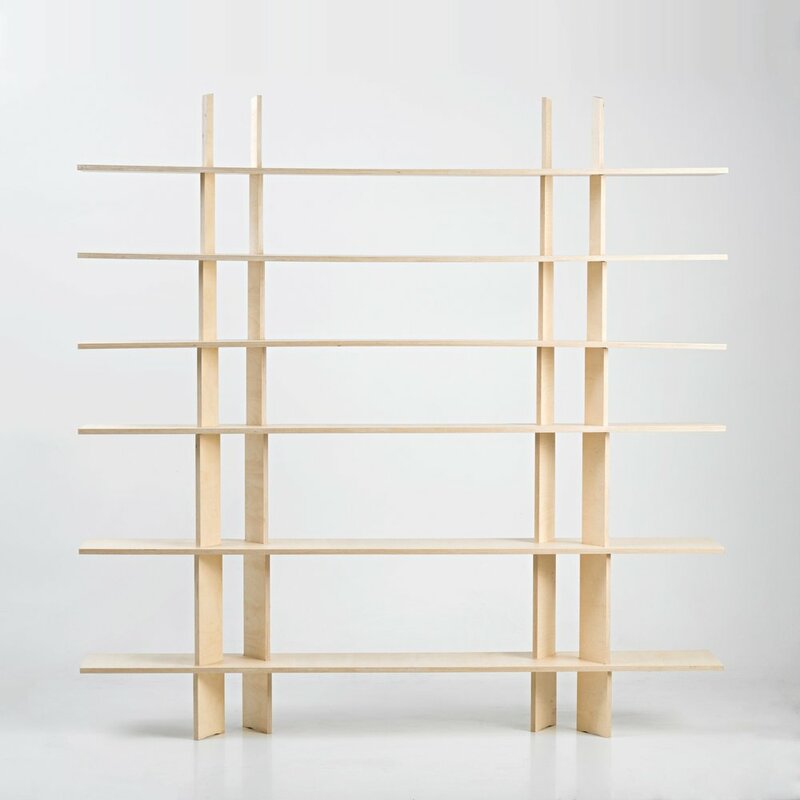 For DIYers and Makers, FIT offers its entire collection with a reduced price “No Finish” option. And a step further; FIT’s designs will soon be published on the designer’s website as free to download, Creative Commons licensed, Open Designs. 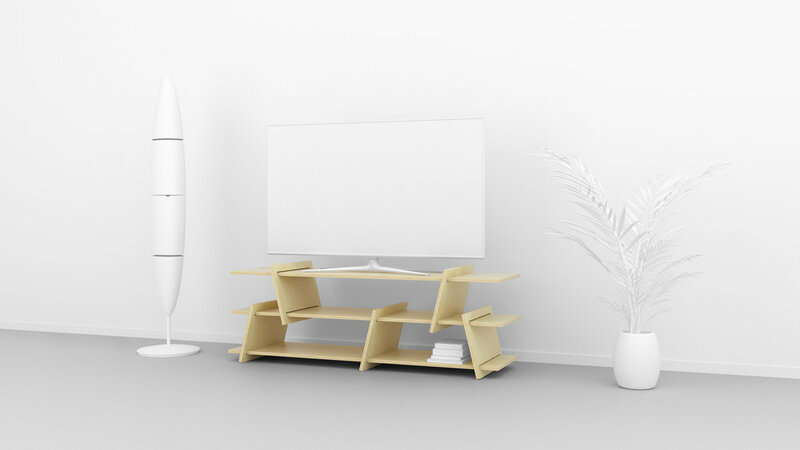 FIT furniture would like to add a sculptural highlight to your home or office; A minimalist piece of furniture where its parts fit together to create visual rhythms, dynamic shapes and a compelling ambiance, all in tune with its function. Ronen Kadushin (b. 1964) is an Israeli designer, design educator and creativity expert, living in Berlin. As a pioneer of Open Design , Kadushin focuses his creative work to explore designs that are downloaded, copied, modified and produced, much like in Open Source Software. 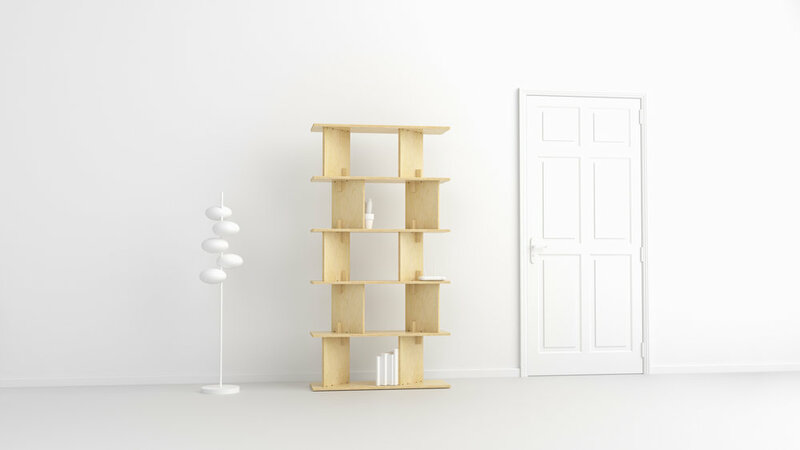 This exploration resulted in a wide range of products, furniture and experimental objects, bearing his signature style of expressive, clever and simple design. 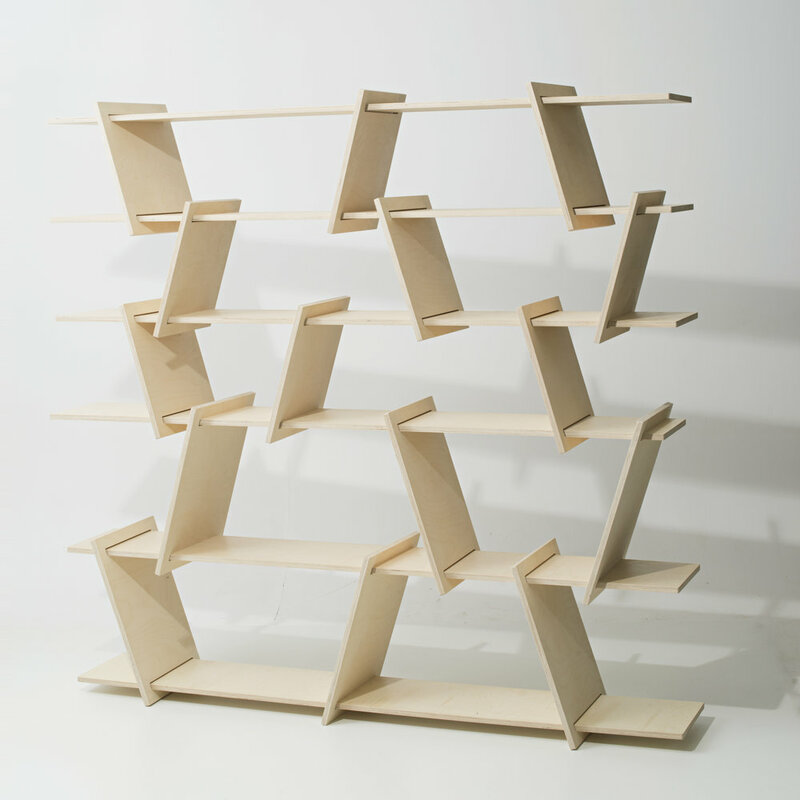 FIT furniture is the latest realization of this ongoing creative journey. Subscribe to FIT mailing list to receive updates and promotional offers. Your personal information and email address will not be shared and will only ever be used for FIT newsletters.